Registration is between 4:00 and 5:30 on Sunday, June 16, followed by dinner, welcome, and a play-in for all students. 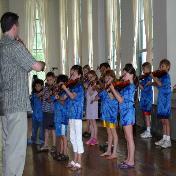 Camp ends on Friday, June 21 with the final group and orchestra concerts in the morning and lunch at 12:30. Registration for the Chamber Music Institute is Sunday, June 16 from 12:00-12:30 and rehearsals begin at 1:00 PM. Classes are scheduled between the hours of 8:30 AM and 3:30 PM. Every student’s schedule is unique, depending on their playing level and elective classes. Typically, students have a combination of morning and afternoon classes, with at least 1 or 2 free blocks of time for practice or recreation. In the late afternoon there are solo recitals and additional time for recreation, and every evening there is a concert or special activity. 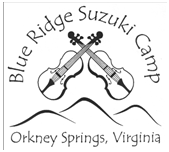 A repertoire list for each instrument is posted in the Camp Information 2019. These pieces should be practiced and played from memory. All students should have a polished piece and a working piece for their private lesson masterclass. A polished piece is memorized, fluent, and has been played for a period of time. A working piece is still in the stage of refinement and polishing. All students have the option of playing on a solo recital, but it is not required. Students should register to play a polished piece on a recital at the time of registration. Recital piece changes may be made until June 1, after that date you may only withdraw from the recital. Evening activities include a Student Recital (Monday), Family Talent Show (Tuesday) Faculty Concert (Wednesday) Traditional Music & Dance Night, followed by campfire. (Thursday). The final student chamber music concert is Thursday afternoon. Non-Suzuki siblings are welcome at camp, and are able to have an enjoyable and enriching experience by taking elective classes, participating in recreation and evening activities, and attending concerts. Each student under the age of 12 must be accompanied by a parent or caregiver who will be responsible for them at all times. For young students the ideal situation is one adult per participating student, but when this is not possible the parent may need to move between classes. Parents of younger students should plan to attend at least the masterclass and group class. 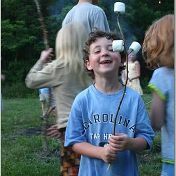 Our separate boys and girls teen cottages are for students age 12 and older who are attending camp without a parent. Students must be able to get themselves to their classes and practice independently. They are supervised by experienced adult counselors, who facilitate good behavior and positive interactions among students, and communicate with camp teachers and parents if there are issues or emergencies. We typically have between 8-14 students in each cottage, and roommates are matched according to age and other needs. Housing is in the renovated Maryland House, Pennsylvania House, and nearby cottages. There are various configurations of rooms to meet the needs of families of all sizes, although certain room types may fill up faster than others. All rooms have private baths with a shower. There is no air-conditioning, but nights are typically comfortable. Meals are served buffet style in the historic hotel dining room, and a vegetarian option is provided for all meat meals. If you have specific dietary needs, please inform us in advance to make sure they can be accommodated. 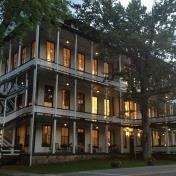 Cell phone service in Orkney Springs can be inconsistent, but there is wireless internet access in the lobby. There are no televisions in the rooms or common areas. We understand that adults may need computers and other devices for work purposes. We strongly encourage parents to commit to a technology-free week for their children and teens, as the use of devices changes the nature of the experience for everyone. Please help to support each other in creating a special environment of music, play, and social interaction. Recreation facilities include a large outdoor pool with fountains and gradual entry, (lifeguard on duty), miles of hiking and fitness trails, biking, tennis, basketball, and volleyball courts. There is also Lake Laura, zip lines, and horseback riding facilities nearby. A limited amount of scholarship assistance is available, and is based on financial need and merit considerations. Please e-mail for information on how to apply.